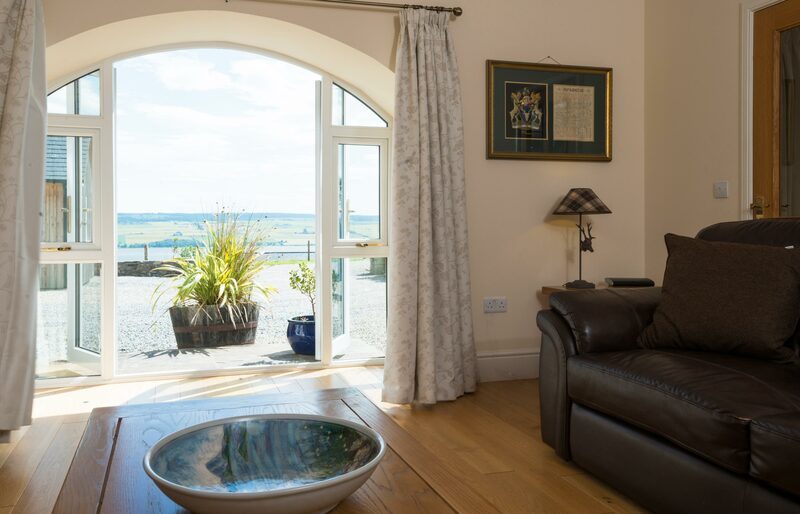 With a spacious lounge and its own patio, as well as a well-equipped kitchen-diner, Chestnut Cottage is the perfect escape for up to 4 guests. 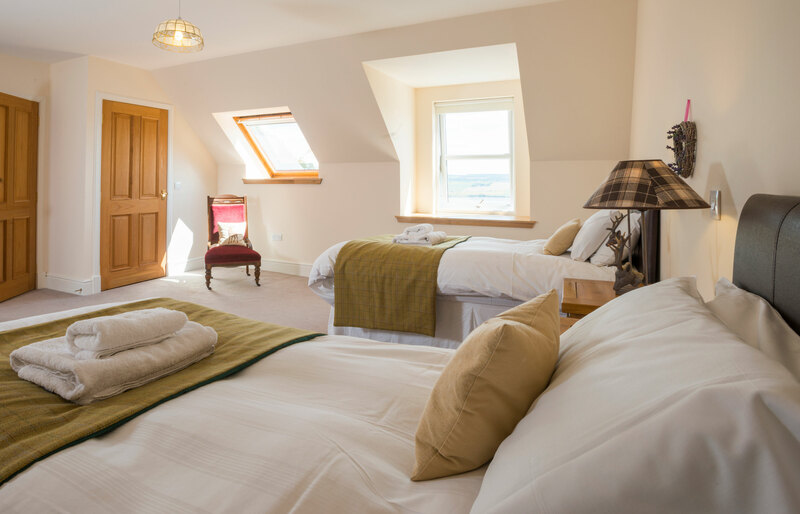 Chestnut Cottage has two bedrooms upstairs – one Superking/Twin bedroom, and one King-sized bedroom. There is a family shower room upstairs, and an additional family shower room downstairs. Located between Rowan Cottage and Oak Cottage, Chestnut Cottage has its own patio, accessed via the patio doors from the lounge. With solid oak flooring and underfloor heating you’ll enjoy round-the-clock comfort no matter what weather the Scottish Highlands has in store! Relaxing is a joy in Chestnut Cottage with its spacious lounge. Equipped with two leather sofas, a 42-inch flat-screen TV, Blu-ray DVD player, and iPod dock, you’ll have everything you need. 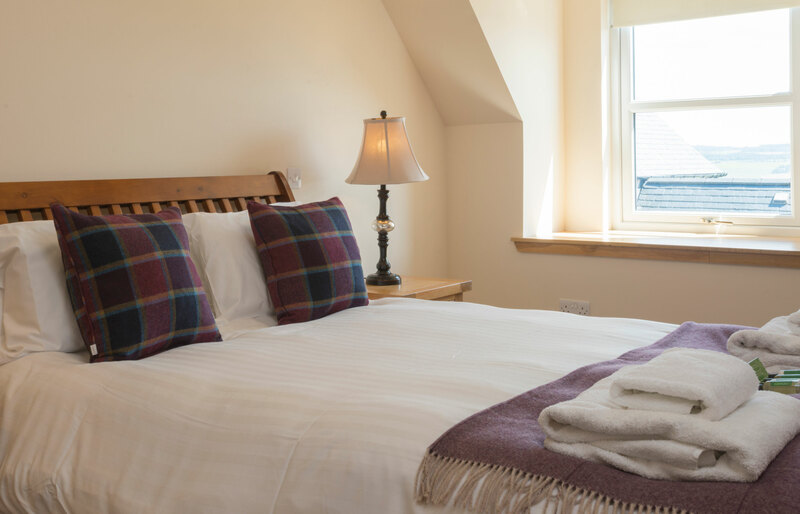 And you can stay as “connected” as you wish: like all our cottages, Chestnut Cottage has complimentary, fast Wi-Fi internet connection. 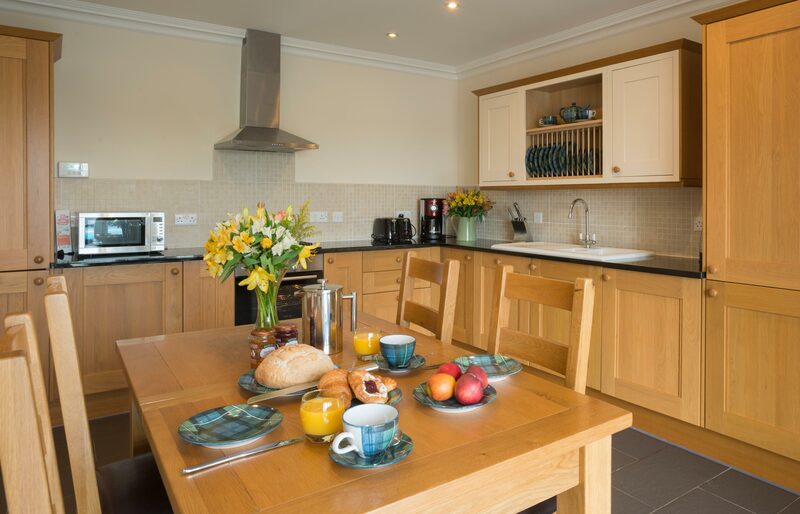 The large kitchen-diner has granite worktops and is fully equipped for meal preparation. It has an electric hob and fan oven with grill, as well as a microwave oven. 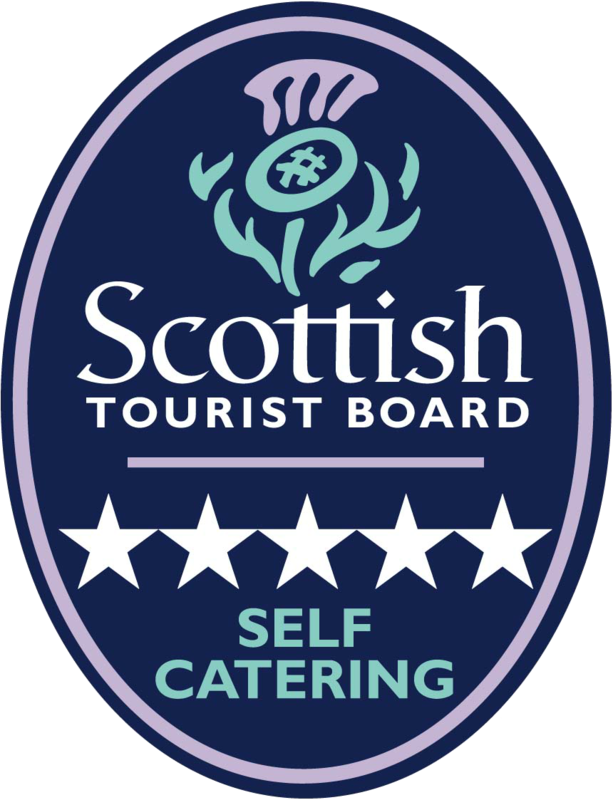 Tain Pottery have provided all our hand-made traditional local crockery. There is also a coffee-maker, a fridge-freezer, and a dishwasher. There is courtyard parking for two cars just outside the main door.